Like so many kids these days Cinco and The Princess really like the Percy Jackson stories and demanded a few Greek days at mom camp. Sadly, with the end of the summer approaching the kids didn’t get nearly as much Greek immersion as I wanted. But like all Mom Camp activities it just means there is something left for next year! We began with a little painting. 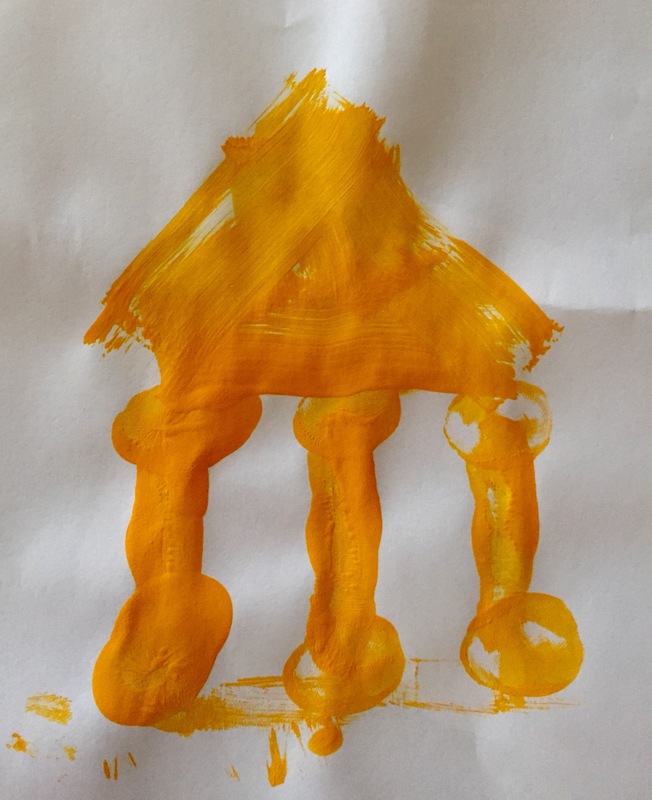 I explained to the kiddos that the old Greek and Roman Temples were actually very brightly decorated. Today we only see white columns but back in the day they were painted many different colors. 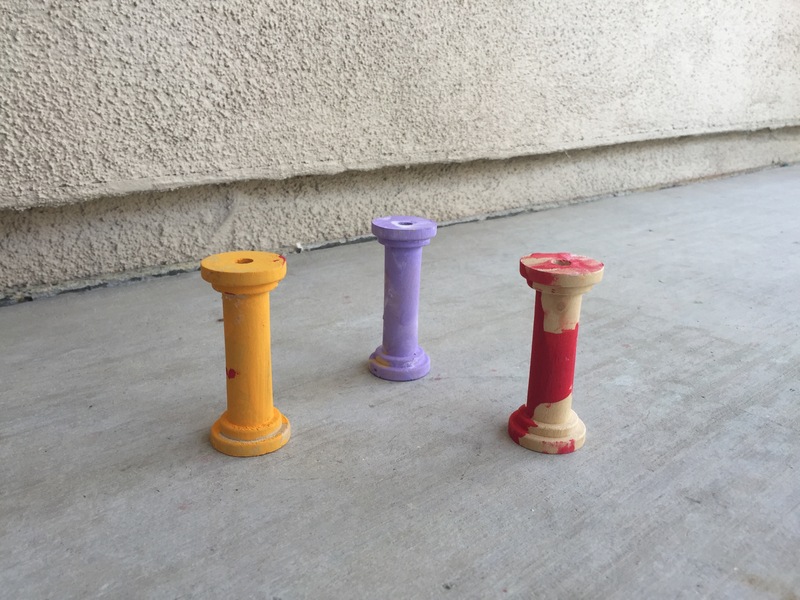 We also painted a few columns I purchased at Hobby Lobby for the kids. 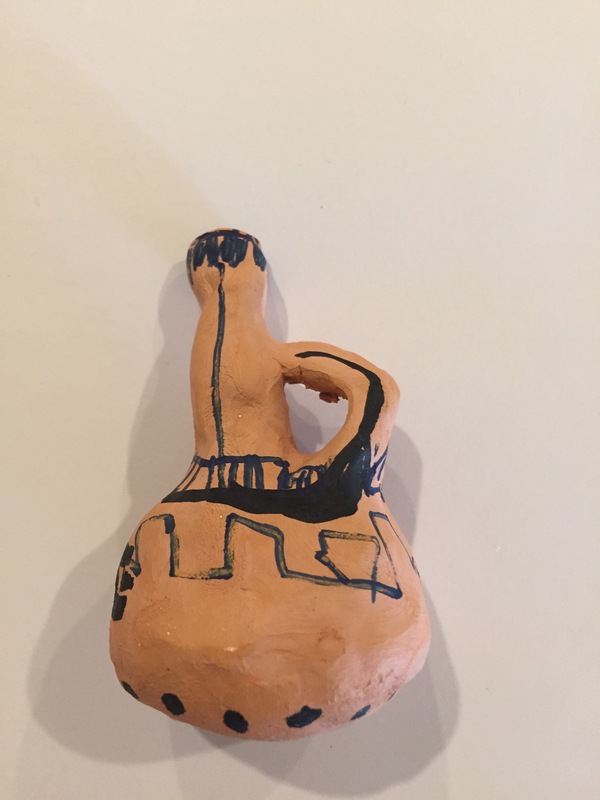 Next it was time for a little traditional Greek pottery. 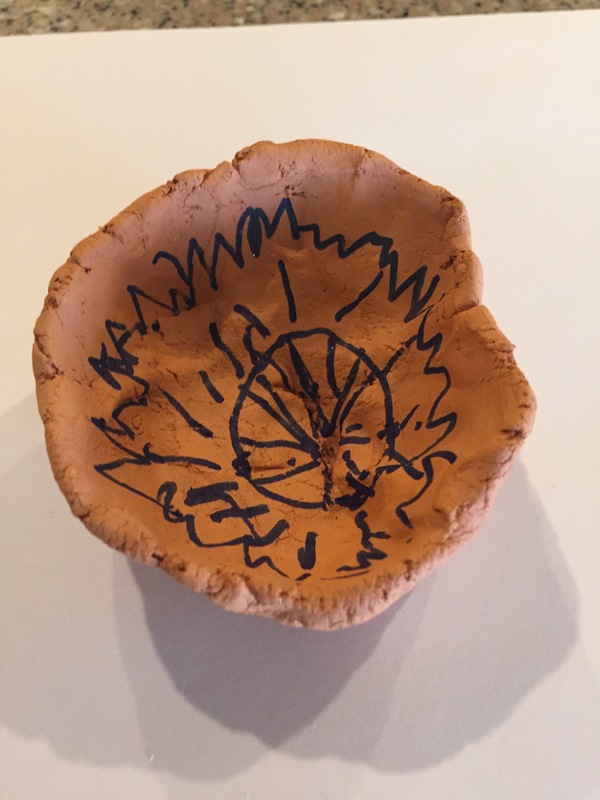 This project took two days because we let our pottery dry overnight. I also decided after all the painting the previous day— maybe we would try using markers on the pots. Since the Greek pottery tends to be terracotta and black we drew our designs on the pots with black sharpies. Much less messy than paint and we didn’t have to wait for the paint to dry! Plus it was pretty easy to work with the sharpies and the designs the kids wanted. 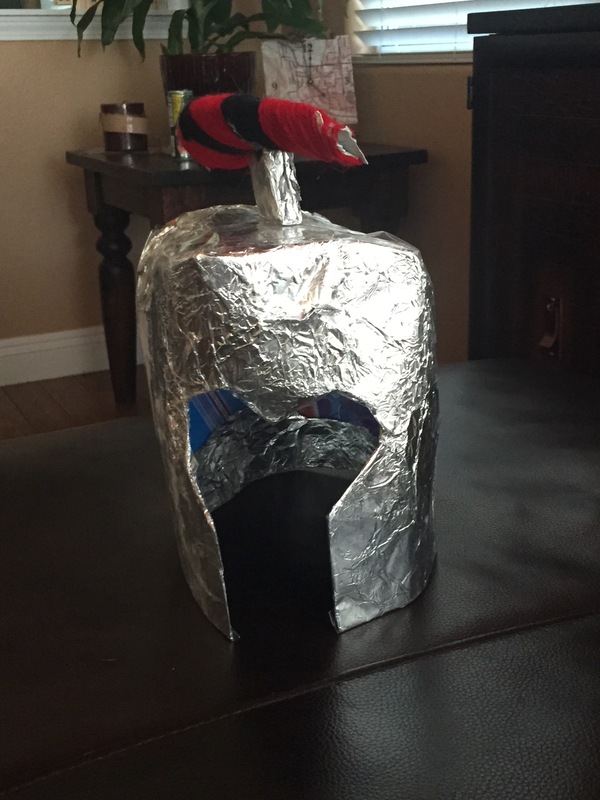 Cinco made his own Greek helmet complete with ‘plumes’! Of course each night of our Greek Festival we watch a different Percy Jackson Movie! We also went out for Greek food one night. I love Greek food especially the baklava!!! The kids not as much. But they took a bite of everything and I think they had a good time in the end.